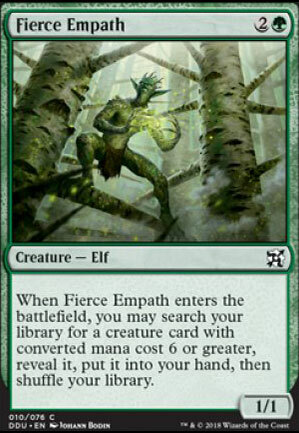 When Fierce Empath comes into play, you may search your library for a creature card with converted mana cost 6 or more, reveal it, and put it into your hand. Then shuffle your library. 339 decks jouent cette carte.